Shake Table II has been also used in outreach programs involving community services and K-12 education, as well as for undergraduate student competitions, such as Undergraduate Seismic Design Competition and NEES Bridge Seismic Design Competition. Developed in cooperation with the University Consortium on Instructional Shake Tables (UCIST) and recommended by the Consortium to institutional members, the Shake Table II offers a wide table-top surface which can accommodate several structures, such as Quanser 1 Floor and 2 Floor Active Mass Dampers, to increase the complexity of the experiment. Also, two Shake Tables II can be coupled for dual-axis, x-y operation. Also, additional earthquake acceleration profiles can be downloaded from the PEER Strong Motion website. The Shake Table II consists of a top stage driven by a powerful motor that allows it to achieve an acceleration of 2.5 g when loaded with a 7.5 kg mass. 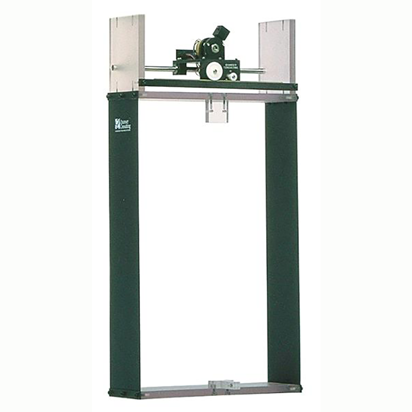 The stage rides on two ground-hardened metal shafts using linear bearings, which allows for smooth linear motion with low path deflection. The stage has a total travel of 15.2 cm (i.e., ± 7.6 mm from center position). The Shake Table’s motor is a 400W high-powered 3-phase brushless DC actuator. The motor contains an embedded high-resolution encoder that allows the position of the stage to be measured with an effective linear resolution of 1.55 μm. 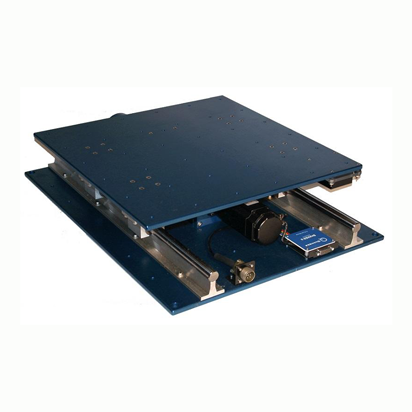 An analog accelerometer mounted on the Shake Table II platform measures the acceleration of the stage directly. 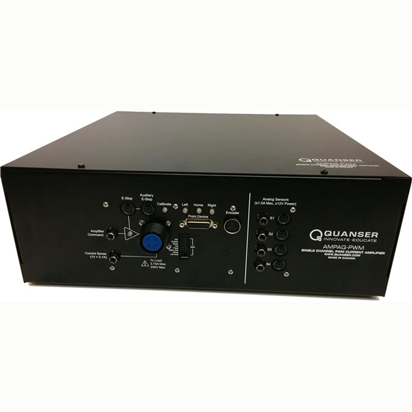 The Shake Table II can be easily programmed through a Graphical User Interface environment. The provided software eliminates any need for hand coding while enables to monitor and analyze the response. For a more flexible operation and control design, you can use MATLAB®/Simulink® via QUARC®. 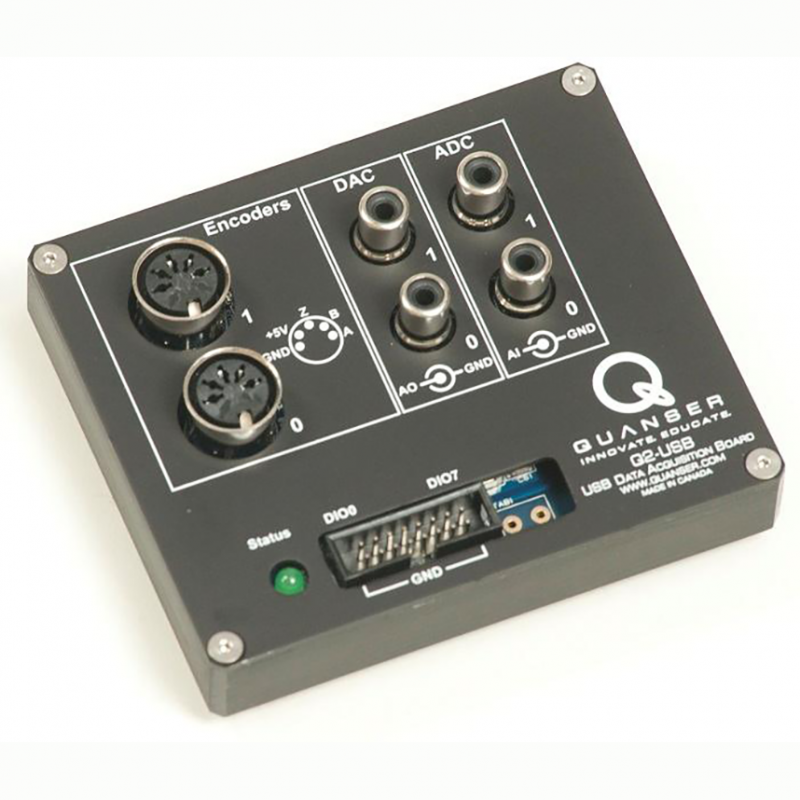 The Quanser Shake Table II system comes with Quanser-developed courseware. The comprehensive Laboratory Guide, User Manual, Quick Start Guide, pre-designed controllers and a dynamic model allow you to get your lab running faster, saving months of time typically required to develop lab materials.